If you’re an in-the-know person where electronics are concerned, you may have clicked on this link with a raised eyebrow, because you already know that Dell has stopped making traditional tablets as of 2016. The Dell tablet is no more. Yes, Dell announced a couple of years ago that it was getting out of the tablet market due to declining demand. 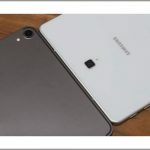 While its Android-based Venue tablets were relatively well-received at the time when price and performance were averaged, they are no more and not worthy of inclusion in a 2018 post. What’s important to focus on is the current (and the future), so we’re going to take the time to look at what Dell has replaced the old-fashioned tablet with: the 2-in-1. Basically, 2-in-1s offer a laptop-first experience that can turn into the functionality of a tablet when necessary. Think of them like extraordinarily flexible laptops with touchscreens. When you want the keyboard, you can position it like a normal laptop, and when you want just the tablet, you can fold it back and away. Of course, if you are truly looking for a tablet experience you may be disappointed by what Dell is offering, but if the sales numbers are anything to go by, Dell is doing quite well with its release and pursuance of the 2-in-1 market. Consumers love the convenience of a tablet but also being able to reach for the functionality of the laptop. Read on for the best Dell tablets of 2018, which are actually 2-in-1s. 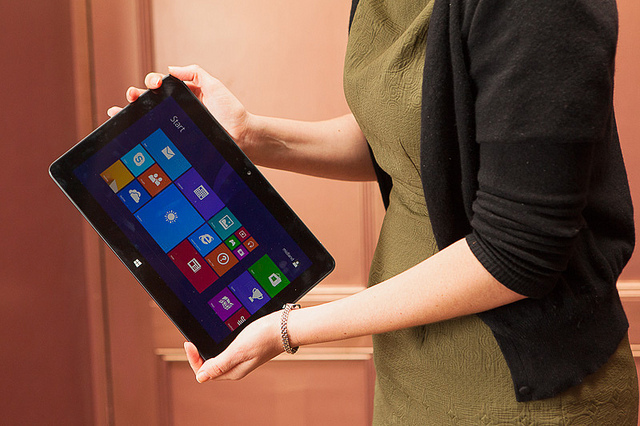 Why did Dell stop making traditional tablets? 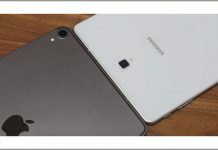 It was estimated in 2016 that the market for traditional tablets had shrunk down to 17%, and most consumers weren’t planning on buying a traditional tablet in the near future. Plus, when consumers were purchasing tablets, often they would go ahead and spend extra money on a keyboard attachment. Consumers were unhappy having to pay extra to get the attached keyboard, so Dell simply switched over to the 2-in-1 model. What are the major differences between a 2-in-1 and a tablet? 2-in-1s have the keyboard attached to the monitor, just like a traditional laptop. However, they have an ultra-flexible hinge on the back. Most traditional laptops can’t rotate too far backward before the monitor breaks. With a 2-in-1, the monitor can rotate completely so that the monitor is resting against the back of the laptop’s body. This turns it into a tablet-like device, owing to the touch screen. 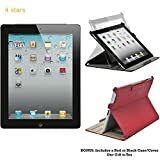 It’s a bit thicker than a tablet, but it’s perfect for somebody who would get more utility out of their computer being more of a traditional laptop most of the time, and a tablet only occasionally. Is a 2-in-1 more convenient? Of course, this depends on your needs and the use of the product. Persons who primarily want to use a tablet as a tablet may find that the 2-in-1 is more inconvenient as there is a keyboard permanently attached to it. Those who are primarily interested in the functionality of the laptop but occasionally want to avail themselves of a tablet’s uses will likely fall in love with the 2-in-1. We tried to take into consideration different budgets and needs. We have choices here that are super durable, super affordable, super lux, and all of those in combination. We realize that not everybody has the same wants and needs when it comes to purchasing electronics, and we want to be sympathetic to that. We always try to keep a particular eye out for performance and value, as most electronic consumers value these two items above any other. We do believe that every item here is a great value for the price you pay, depending on what specs you’re most interested in. 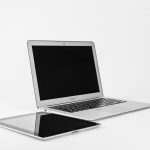 Overall, the price for 2-in-1 laptops can go from around $100 to over $1,000 depending on what you are looking to get. If you are aiming for the lower end of the price bracket, expect something without a lot of bells and whistles, which is generally aimed toward simple computing. If you spend most of your time browsing the web and don’t need a lot of space to store things and don’t require crystal-clear screen quality, then one of the cheaper Dell 2-in-1s will do you fine. If you are looking to spend more money, you can enjoy more storage space, more RAM, higher quality audio and video, and the ability to multitask more seamlessly. Many of these 2-in-1s are great for playing games on, which is the true test of any machine’s endurance. However, to get the better specs, you have to spend more money. This very convenient and affordable 2-in-1 tablet gives the Microsoft Surface Pro a run for its money. With incredible safety features, the Dell Latitude is built for the corporate life, but will make itself right at home with you. It will withstand bangs and bumps with aplomb and definitely look good doing it. The Dell Latitude is actually the closest thing that Dell has to a traditional tablet at this point, as the keyboard still needs to be purchased separately. The Dell Latitude was built with the businessman in mind, and it shows. You can even customize the Latitude with an infrared scanner for face recognition. It’s also possible to program it to be wipe-able remotely. Additionally, it’s definitely going to be able to withstand the rigors of daily use. The Dell Latitude was actually built to US military specifics. No optional keyboard or stylus. The Dell Latitude 5285 is available from Amazon for $102 dollars. You can purchase the Dell Latitude from Amazon. The Dell Latitude comes with a one-year limited warranty. The Dell Inspiron is less of a traditional tablet and more of the increasingly-popular “foldable” tablet that comes with a keyboard. In recent years, the trend toward tablets alone has gone down, as many people want the portability of a tablet combined with the performance of a keyboard. Namely, people don’t want to type on touchscreens constantly. The Dell Inspiron is a reaction to that call. This laptop/tablet hybrid is light, portable, and foldable for maximum impact. The Dell Inspiron is basically a laptop with a touchscreen that will fold backward onto itself, leaving the touchscreen exposed with the keyboard folded back when the laptop is in “tablet” mode. It’s a very convenient setup that offers the best of both worlds. People will like that the keyboard comes with the screen, while many traditional tablets require that you purchase a keyboard separately. This particular version of the Dell Inspiron is very affordable. It comes with an optional keyboard. This 2-in-1 is not capable of being folded back entirely. Speakers will not work if the device is in a "laptop mode" or rest on a flat surface. You can buy the Dell Inspiron for $459.00. The Dell Inspiron can be purchased on Amazon, directly from Dell, or from other electronics outlets like Best Buy or Fry’s Electronics. The Dell Inspiron has a one-year warranty. For those who seek a 2-in-1 that’s a little more high-powered, than the XPS 13 2-in-1 is the go-to pick. This is a blazingly fast and amazingly responsive tablet/laptop that’s sure to delight. Many users report gaming reliably on the XPS 13 2-in-1, which is a true test of its mettle, as games are known to tax even the most efficient systems. The screen of the XPS 13 2-in-1 is very responsive and will detect even the softest swipe of fingers across its surface. The body of the XPS 13 2-in-1 will fold easily so that the keyboard is against the back of the screen, allowing quick transition from laptop to tablet and back. 8 gigs of RAM make the XPS 13 2-in-1 sing as it mows through even the most daunting of tasks. The XPS 13 2-in-1 can be bought on Amazon for $1,000. 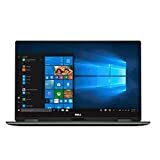 You can purchase the XPS 13 2-in-1 from Amazon, directly from Dell, and other similar electronic retailers like Best Buy or Fry’s Electronics. The XPS 13 2-in-1 has a one-year warranty. Overall, we have to hand it to the XPS 13 2-in-1 on this one, but keep in mind that we may have specific preferences that you may not. 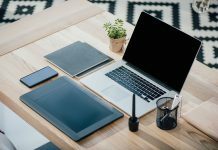 When we buy a laptop/tablet we generally prefer to invest and get more performance out of the machine and hopefully have the machine last a long time. We loved the XPS 13 2-in-1’s butter-smooth performance and high specs. You do have to pay a bit more for the XPS 13 2-in-1 (it’s over $1000 even in its cheapest iteration), but what you get in return is superb. We liked the Latitude, but we felt that it was a bit over-engineered in ways that weren’t particularly helpful for the everyday consumer. The Latitude is specifically built for businessmen and security-obsessed IT departments, and it shows. However, if you work with sensitive information or just like to have that level of control over your data, then the extra price for what the Latitude offers may very well be worth it for you. The Inspiron 11.6 3000 was a wonderful little machine, but we like a little more power in our primary computers. However, if you’re looking for something to be a side computer, the Inspiron 11.6 3000 may very well be the best choice. It’s affordable, it’s zippy, and it’s light. Again, it all comes down to your individual needs. But our vote is on the XPS 2-in-1.